Colorado has been home to native peoples for millennia. The Ute people are Colorado’s longest continuous residents. In celebration of the opening of the newest exhibit at History Colorado Center, Written on the Land: Ute Voices, Ute History, we invite you to discover the places the Ute tribes have called and continue to call home. Whether your favorite part of traveling Colorado is seeing art, hiking through beautiful landscapes, learning something new, shopping, or just relaxing, these destinations are sure to both inform and delight. This History Colorado museum in Montrose was recently redeveloped in consultation with representatives from all three Ute tribes. Connecting the past with contemporary Ute life and culture, exhibitions highlight significant places in Ute history and culture. 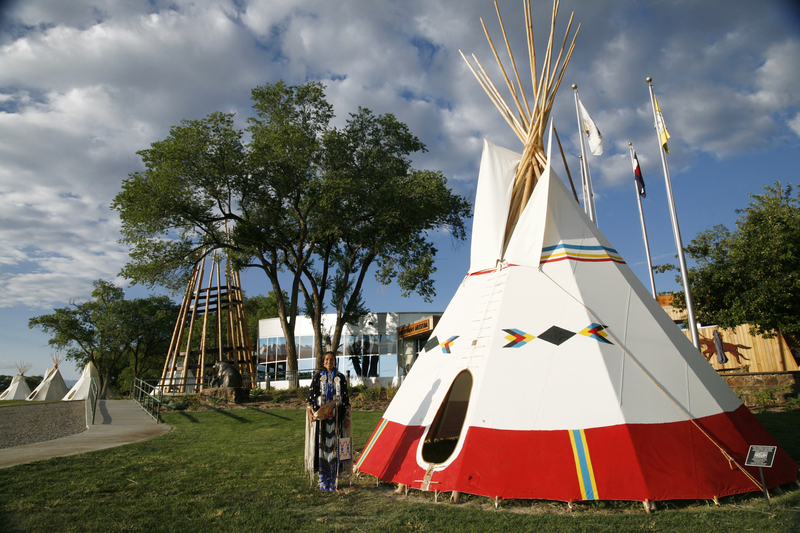 The beautiful grounds include tipis, wickiups, and a native plants garden. Originally built in 1956 near the home of Chief Ouray and his wife Chipeta, this site is listed in the National Register of Historic Places. In the Shavano Valley near Montrose is one of the most important concentrations of rock art in western Colorado. 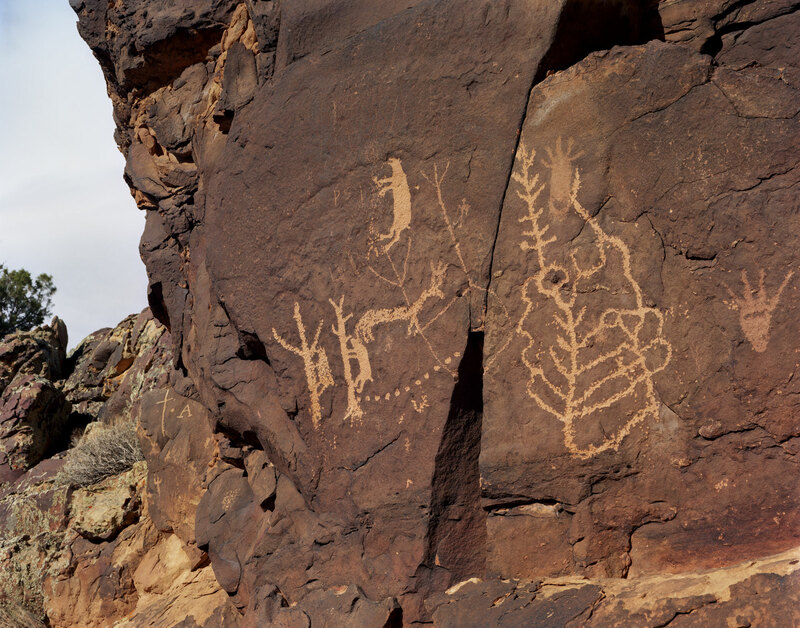 There are 37 panels in total dating back more than a thousand years, including petroglyphs of bears, trees, and human figures created by Archaic and Ute peoples. It is a fantastic place for doing some moderate hiking through beautiful remote scenery. This site is listed in the National Register of Historic Places. To visit, contact the Ute Indian Museum and staff will put you in touch with a tour guide. Fort Garland reminds Coloradans of a time of great conflict. It was established in 1858 by settlers in the San Luis Valley. 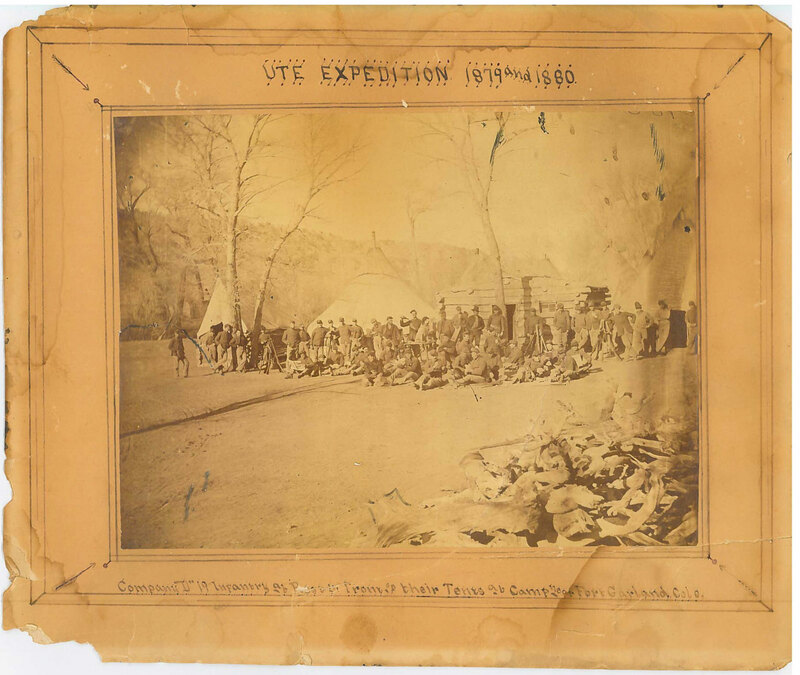 In 1876, Buffalo Soldiers were tasked with preventing conflict between the Utes and white settlers, including by removing settlers from Ute lands. A few years later, troops from Fort Garland were sent to north to the White River Indian Agency to assist in the aftermath of the Meeker conflict. In 1880, a law passed by the US Congress removed land from the Utes and displaced tribes from Colorado to Utah. Make a visit today to take a step back in time and recall the adversities faced by Ute people. This land was once home to many Coloradan tribes. For the past 44 years, it’s been a place in Towaoc where Ute Mountain Utes invite visitors to learn about their history and culture through guided tours to see pictographs and petroglyphs, cliff dwellings, and land formations. You can plan to camp overnight or rent a cabin if you wish. This place in Ignacio celebrates the living history of the Southern Ute Tribe with rare artifacts and recorded stories. The beauty of the building—designed by the architects of the Smithsonian’s National Museum of the American Indian—is matched only by its surrounding landscape. Exhibits include stories of past and present Southern Utes, including veterans you may choose to honor this Veterans Day. You can stay overnight at the luxurious Sky Ute Casino Resort. Be sure to join us for the public opening of the newest exhibit at History Colorado Center, Written on the Land: Ute Voices, Ute History, on December 8th! This article was originally published by AAA Colorado.